Choose between 2 and 4 year degrees. Study hard and earn your certificate to get ahead in your degree! Find apprenticeships and internships to get the experience needed for your career. In December of 2017, four organizations announced an effort to create a new workforce development program designed to benefit students, area businesses, and the state. 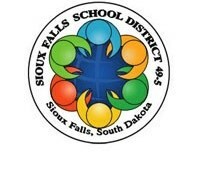 The four core partners – Dakota State University, Southeast Tech, the Sioux Falls School District and the South Dakota Department of Labor and Regulation (DLR) along with the office of the governor and several business partners, came together to create the South Dakota Partnership for Student Success, or SDPaSS. SDPaSS is a community partnership designed to provide students with multiple pathways or “on-ramps” to quality employment through a credentialing system. This SDPaSS model uses meaningful, job-related experiences including internships, apprenticeships, certificates, associate and baccalaureate degrees to provide students with jobs, and businesses with well-trained employees. While the model can be replicated across the state and in many job categories, this initial SDPaSS will focus on three high demand areas: software development, network services and cybersecurity. SDPaSS is planned to be available in Fall 2018. Anticipated features include supervised internships, apprenticeship connections, academic certificates, associate degrees, and baccalaureate degrees. The four core partners joining forces to create SDPaSS are Dakota State University, Southeast Tech, the Sioux Falls School District, and the South Dakota Department of Labor and Regulation. This partnership is hoping to collaborate with local South Dakotan businesses to help make competent and knowledgeable workers. SDPaSS seeks to fill the state’s workforce gap caused by a lack of necessary skills businesses are looking for. The idea is to serve students at all stages of learning. Students are able to work at the pace they want to gain credentials and experience.